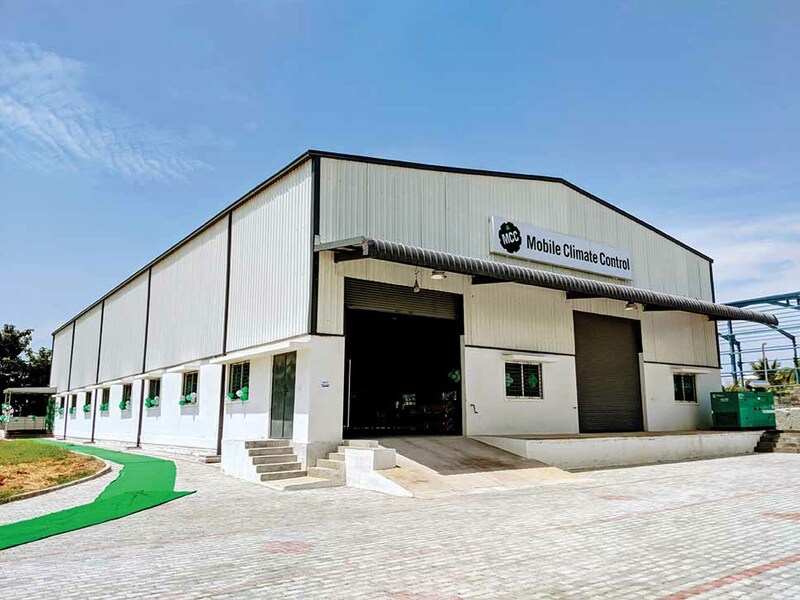 Mobile Climate Control (India) has commissioned a new facility in Bangalore. Commissioning a new facility, spread over 20,000 sq. 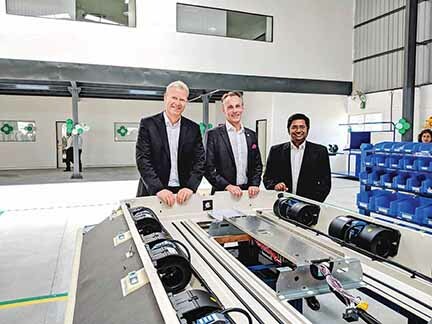 ft. at Narsapura, Bangalore, Mobile Climate Control Thermal Systems India Private Limited (MCC India) is looking at providing innovative and proven product lines in the Indian market of India, and in the export markets. A subsidiary of Mobile Climate Control Group Holding AB (MCC), Sweden, which specialises in heating, cooling, ventilation, air conditioning and refrigeration for conventional and electrical city and transit buses, coaches and tourist buses, school buses, shuttle and minibuses, vocational trucks, construction equipment, agricultural equipment, forestry and mining equipment, material handling equipment, side-by-sides, and utility and defense vehicles, the company entered the Indian market in 2017. Looking at playing a significant role in the scheme of things at MCC, Sweden, the Indian operations are targeting Indian bus segments. Pointing at Indian bus manufacturers that are exporting buses to Europe, Gunneberg expressed that they would like to cater to their needs. 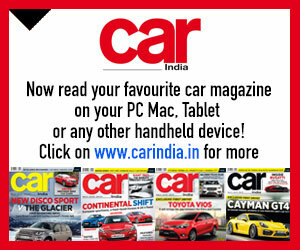 Eberhard Wolters, President Europe, MCC, averred that they will provide products as per customer expectations. Wolters highlighted the option to make complete units like condenser, coil and blower as part of the package. “Since manual labour is less expensive in India than in many parts of Europe, we are aiming to take advantage of the same. That is our strategy,” he said. Gunneberg opined that they are planning to make an AC system that it is slightly lower in capacity than what is needed in parts of India. 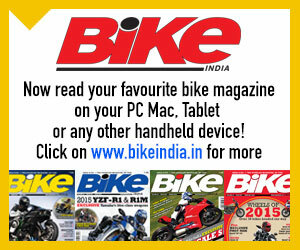 “Most of the products that will be sold in India are of 40-45 kWh. We are planning to export 30 kWh units. We have a production facility in Poland that manufactures heating coils and blowers. We will concentrate more on AC units here. At first, we will have 35-45 kWh and in the long run, we have plans to build other types of ACs,” he explained. 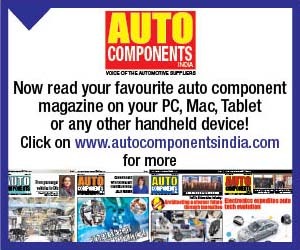 Having an AC manufacturing company in China which caters to the off-road segment, MCC India is looking at exporting from India to other Asian markets, Europe and USA. The company is banking on customised, competitive, and quality products. Said Wolters, “India is a big market. We have a lot to cope up with. China will be an option in a couple of years, but it is the Indian operations we are looking at.” With an eye on the emerging trends in the Indian market, MCC is looking at products that are different from what the competitors have to offer. 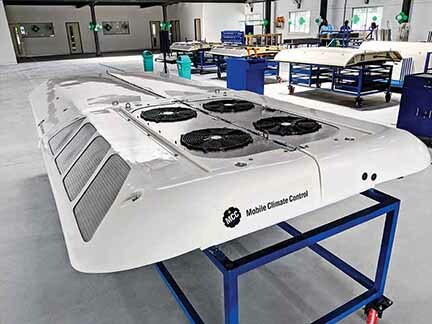 Apart from fleet tracking opportunity to offering air-conditioning solutions to electric buses, MCC in India is keen to come up with new products that are light and efficient. To lightweight, the company is exploring materials like fibreglass. 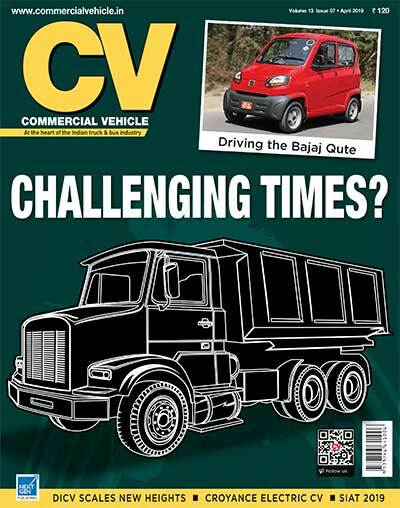 The challenge, said Gunneberg, is to find a solution that will keep the cost low and reduce the weight. “The electronics in the system is made in-house and around 30 per cent of our engineers work on the electronics of the system,” he averred. Currently using copper coils that are lighter and carry less coolant, MCC is also looking at customer requirements, and how it could best address them. It is finding out if the customers are open to aluminium or copper. Pointing at the limited success many manufacturers have had with the use of aluminium, Gunneberg expressed, “We do not want to educate the market. The market is already mature. The point is, if there is a room for improvement and growth. 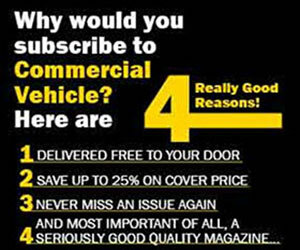 Much however depends on bus manufacturers. We will give them what they specifically need.” Looking at allocating 80 per cent of what it manufactures at the Narsapura plant to the domestic market and export the rest, MCC is also open to dedicating up to 95 per cent of the produce to the domestic market. This calculation, said Gunneberg, is based on the market potential for growth in India. Stressing upon the ability to do good deal of engineering in India, the company, according to Gunneberg, is looking at leveraging it to drive its export strategy. “We want to make use of the engineering prowess in India to forward our strategy in Europe and USA,” revealed Gunneberg. Terming the Indian operations as an important part of the company’s global strategy, he said that they are bound to address the requirement of the customers. “We always listen to the customers. We will execute changes if they require irrespective of the volumes. With increase in volumes, we will invest in local production of heating coils, condensers and more. This will set us apart from our competitors,” he concluded.